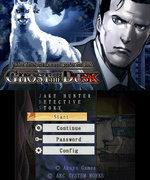 In Ghost of the Dusk, A homeless man s accidental death draws hard-nosed detective Jake Hunter into the shadow of a mysterious mansion but all is not as it appears at the seemingly innocuous crime scene, and Jake can t shake the hunch that something is amiss. With the help of an old friend, Jake works to get to the bottom of the crime and uncover the true culprit s identity. But when the mansion s owner comes to Jake with a new proposal, things take a turn for the bizarre as dark secrets are forced from the shadows. Now, it s up to Jake to track down the source of the madness. The other cases featured in the collection are Legend of the Demon Princess, For Love, Forget Me Not, Four Seasons and a the special comic episode Jake Hunter Unleashed! School Festival Locked Office Case. 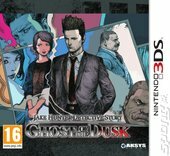 New Cases, New Faces - After a long hiatus, Jake Hunter is back on the beat and tasked with solving all-new cases with a cast of original characters and the return of some familiar friends. Investigative Instincts - To solve these mysteries, you ll need to use all of your master detective skills: question suspects, search crime scenes, and zero in on inconsistencies to discover the truth. 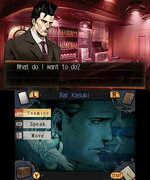 Hardboiled Action - Dive into a gritty world populated by shady characters, dubious allies, and more than a hunt of the supernatural. You ll need to harness all of your focus and skills to separate fact from fiction. And the Password Is... - Discover passwords hidden throughout the game s world to unlock side stories, bonus features, and more!